The excitement in the house is almost unbearable. The time is upon us and we are ready for our trip to Branson, Mo. The kids are excited, running around packing for the unexpected, which includes unicorns, reindeer and polar bears. Last minute I decide to make sure the kids have something warm, just in case the weather turns sour. Its two days, just two days I tell myself. As you will learn, the further this blog continues, I don’t do well on the unexpected. This entire vacation is being planned by my fiance and his grandmother, who have frequented Branson throughout their lives. When I do ask questions to narrow down timing, I get met with, just relax, there is no time schedule. What!?! I scream in my head, NO time schedule? I decide to close my eyes and take a deep breath to push out the anxiety that rushes towards me when I hear these words. We, meaning my fiance, myself, and our three youngest get packed in the car and head towards his grandmothers to pick up her and his niece, who is roughly the same age as Olivia. We start on our journey and within the first five minutes, the kids have already requested to see the bounty of snacks that grandma has packed for them. Not understanding that this is a four-hour drive, they gobble up all they can right away. Within an hour, Olivia, with her hand over her mouth, turns green. “Mommy?” she says quietly. The car comes to a halt on the side of the road and it’s now a race to get her out of the car before everyone is sick. After some Dramamine and water, she recovers with a short nap. When she wakes up, she says, “Mommy, it’s so country out here, there is no city stuff!” Which makes the car roar with laughter. Upon arriving in Branson, we drive the main strip. Oh the things you’ll see! I felt like I was completely out of my element, acting totally like the tourist that I am, taking pictures of everything! You name it, it was there. Traffic left a little to be desired but the one thing I noticed was that even the main chain restaurants, like Cici’s Pizza, looked more glamorous than anywhere else. It was like I have never seen it before. 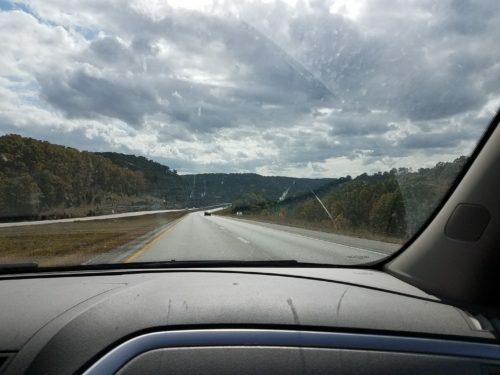 We decided that we would stop to get some food and then head over to the Dinosaur and Toy museums, because we had time to kill before we could check in at the hotel. This was a blast from the past. First off let me say that I am a Star Wars fan, and taking pictures and seeing these life-sized figurines were just amazing to me. I decided to just show a few of the pictures I took of those museums above. Over a million toys and I tried to take as many pictures as I could. It was amazing. The dinosaurs were all life-sized as well and the kids loved seeing these creatures in their full size. I loved watching to amazement and wonder in their eyes as we rounded every corner. One of my favorite features was the train exhibit. It was huge and there was no way you could see all the details without inspecting every inch. This touches me because my paternal grandfather also had many miniature train displays, one of which was a favorite in his front yard every time we visited. To see all the hard work completed by twenty different guys come together was just amazing. After we checked in and decided to go swimming for a bit in the pool and hot tub at the hotel, we went to dinner. I was really amazed with the crowds at all the places we went and tried to eat at. Definitely easier without a party of seven, but that’s what we were. 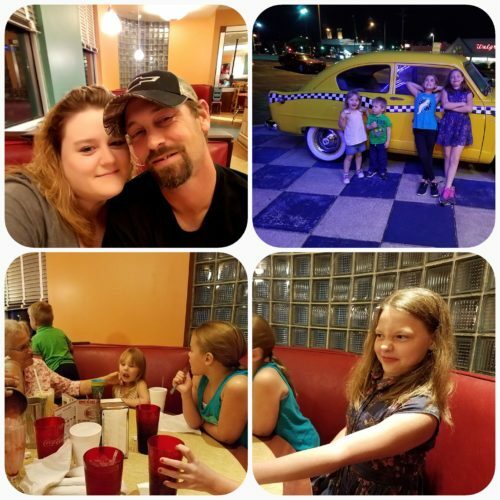 So we found a place called Uptown Cafe where we could have a bite to eat late at night without having to worry about a huge crowd. It had been a very busy day and was already past the kids bedtime, so dinner was not without its challenges. Not to mention, every meal we sat down to, there was at least one drink that was spilled. It seemed like we were dealing with it the entire trip. Nevertheless, it was amazing food with amazing company. After, the kids passed out fairly quickly in the hotel and it was time to wind down ourselves. I fell asleep just from the adventure itself. There was so much to see and do and we still had one more day that we were going to fill with even more adventures. On our way to breakfast the next morning, Madison took a spill that made me cringe. She ended up tripping downhill and rolling in slow motion, creating road rash on her knee and face before coming to a stop with the help of a 4×4 post to the forehead. Any mother’s nightmare to happen before your eyes. After some cuddling while I carried her to breakfast, she seemed to not be bothered by it for the rest of the day. 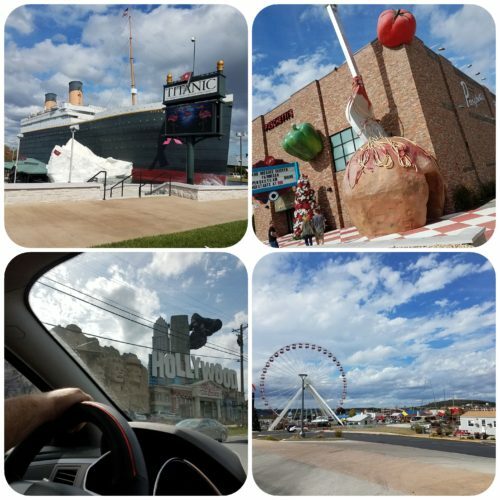 We drove to the historic district of Branson and I realized very quickly that this area is better explored with adults only, as there were lots of traffic, tight spaces and lots of breakables. 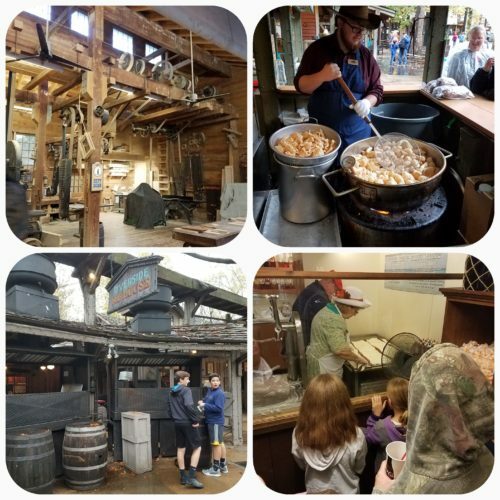 Our final stop was to visit Silver Dollar City, which is like a blast from the past for sure. Everything hand-made and in front of your eyes. We were all wet and cold and despite our best efforts to visit the entire park, we had to cut our visit short. The weather seemed to not cooperate. We bought warm socks and sweaters from the gift shop and made our way back to the car to head home. Everyone was tired so half the trip was very quiet, especially since we remembered to give Olivia Dramamine before heading out. Overall, this was a fun-filled first vacation for our not-so-little family. I learned a lot along the way, including how to just wing-it. We were so blessed to create and share memories over multiple generations. This trip would not have been possible without grandma for sure. Sometimes, we need a little push out of our comfort zones, in order to experience life to the fullest. I learned some coping techniques for my anxiety and that I don’t need to apologize for my children’s imperfections.